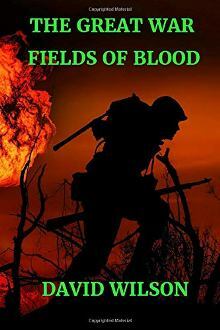 The Great War: Fields Of Blood relates the strategies and action on The Western Front during The First World War. The flower of our youth went out to France and Flanders and it was a fine flower of gallant boyhood, clean, for the most part eager, not brutal except by intensive training, simple in minds and hearts, chivalrous in instinct, without hatred, adventurous, laughter-loving and dutiful. The bravery of our troops on the Western Front, their patience, their cheerfulness, suffering and agony; yet with all those words describing their everyday life it is impossible to exaggerate the splendour of their stoic spirit or the measure of their sacrifice. The carnage left behind by The First World War was staggering. By the end of the war an estimated ten million soldiers had been killed. That averages to about 6,500 deaths a day, every day. Plus, millions of civilians were also killed. The War is especially remembered for its slaughter as it was one of the bloodiest wars in history. As it was the centenary of the end of The First World War last year I researched this and wrote a number of books on the subject. I was appalled at such carnage. To think that an average of 6,500 soldiers lost their lives every day was really beyond belief. These were young men who had not long before, on the most part, been living happy, family lives. Some would be married with small children whom they would adore. They would have been looking forward to a bright future with no thought of violence. Then war would change their lives forever. Many would lose their lives while others would return battle-scarred physically and mentally for life. Many times during writing the book I was reduced to tears. Both sides only months before would have enjoyed each others company but now they were ordered to fight each other. Oh, the futility of war.